It happened in spring, 1991. Walking at a pedigree dog show with her future husband Vytautas Kusas and when asked if she wanted a dog, Vida, of course, answered yes, because namely the love for dogs and desire to own a pet brought them here. After dissappearing for a few minutes at the dog show, Vytautas reappeared and placed in his future wife‘s hands a funny little ceramic dog. „Now you have it“, was all he said. Thus came the idea of collecting dogs. 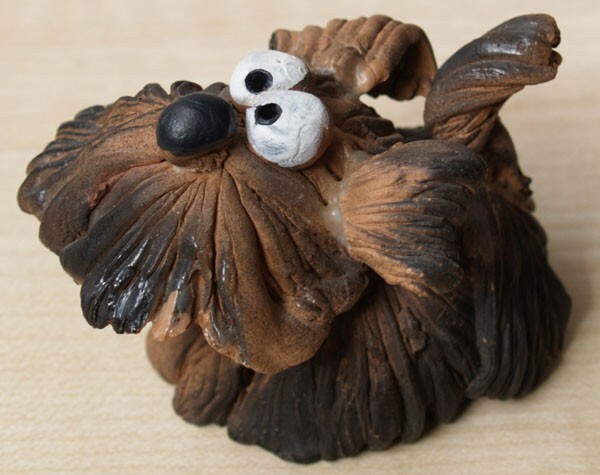 Eighteen years later the private Vida and Vytautas Kusas‘ collection of souvenir dogs has become a Dog Museum, containing nearly 2000 showpieces from 37 countries of the world and made of 22 different materials.